Just to show that I care about things other than digital strategy, activism, journalism and politics, here's an infographic (click to expand) about my other passion — no not harsh criticism — literature. 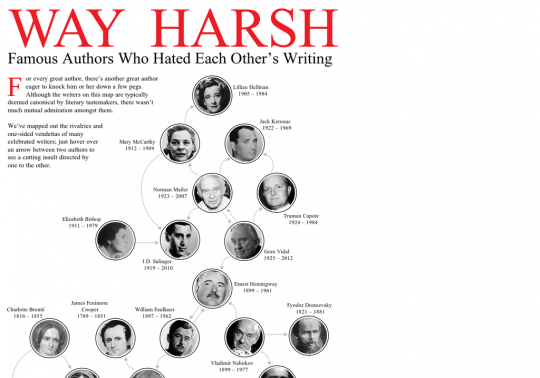 Fascinating to see who among literary giants didn't like each other's writing. No surprise, Norman Mailer is the dyspetic winner.